The new year will bring changes to the Illinois laws regarding child safety seats. As of January 1, 2019, Illinois will require up to age 2 to be secured in a rear-facing car seat, unless the child weighs more than 40 pounds or is taller than 40 inches. This amendment to the Illinois Child Passenger Protection Act was signed into law by Governor Bruce Rauner in August of 2018. The amendment is intended to ensure the safety of children riding in cars and educate parents on the risks of using improper car seats. Previously, Illinois only required drivers to use an approved safety seat for children under 8 years of age, but did not specifically require a rear-facing seat for children under the age of 2. The new law brings Illinois into compliance with the American Academy of Pediatrics (AAP) Recommendations on car seats. Children needing a rear-facing car seat may sit in a rear-facing only car seat or in a convertible car seat that is installed to be rear-facing while the child is using it. 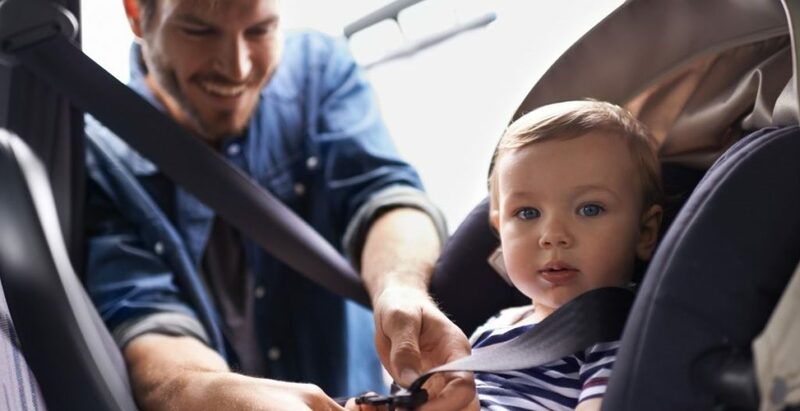 The AAP recently issued an updated policy statement recommending children remain in a rear-facing car safety seat as long as possible, as research has revealed this to be the safest position for children in the event of an accident. Their report was supported by biometric research, crash simulations, as well as data collected from some European countries, which have required young children to ride in rear-facing car seats for several years. Their research has shown that placing children in rear-facing car seats protects children’s head, neck and spine in ways front-facing car seats cannot. This is primarily because the hard shell of the rear safety seat is designed to absorb most of the crash force if a car is in an accident. When riding in a forward-facing seat, although the child’s body is appropriately restrained, the child’s head can jolt forward during a crash, possibly leading to spinal, head, and neck injuries. In fact, one study has shown rear-facing car seats for children between 12-24 months are approximately 532% safer than forward-facing seats. While the act requires all children under the age of 2 to ride in rear-facing car seats unless the child weighs more than 40 pounds or is more than 40 inches tall, it also requires all children under the age of 8 to be properly secured in a United States Department of Transportation approved child restraint system. This means that children between the ages of 2-4 must use a car seat with a harness restraint, and children over the age of 4 may generally use a belt-positioning booster seat. Weight and height requirements remain for each type of car seat, and you should always follow the car seat system that is in line with your child’s current height and weight. It remains the parent or guardian’s responsibility to provide any driver transporting their children with an appropriate car seat. First time violators will be fined $75, and second time violators with be fined $200. Illinois offers programs to help you with the proper installation of car seats. The Secretary of State’s office offers educational presentations regarding basic car seat installation and information regarding child passenger laws. There are also car seat fitting stations throughout the state, which provide car seat inspections by certified child safety seat technicians. Further, most local fire departments will help you install child car seats in order to ensure the proper installation. For more information and help regarding this or other traffic matters, please contact Sherer Law Offices at (618) 692-6656. IOffice of the Illinois Secretary of State, “Child Passenger Safety Requirements,” https://www.cyberdriveillinois.com/departments/drivers/childsafety.html (accessed Nov. 30, 2018).